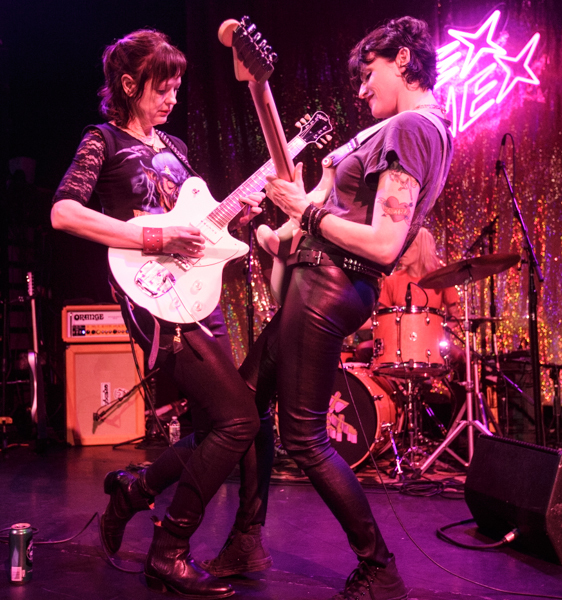 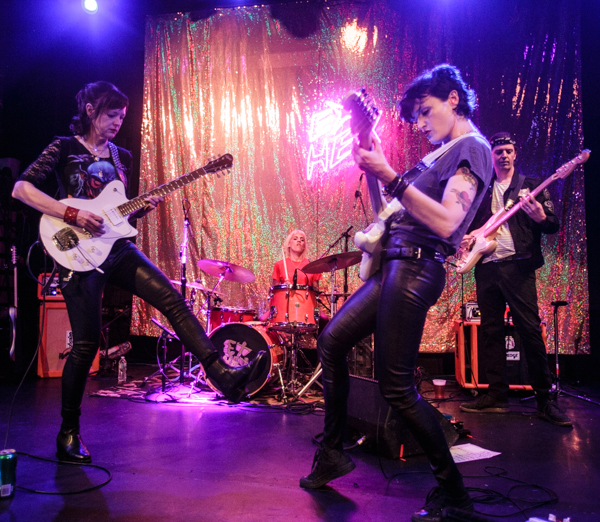 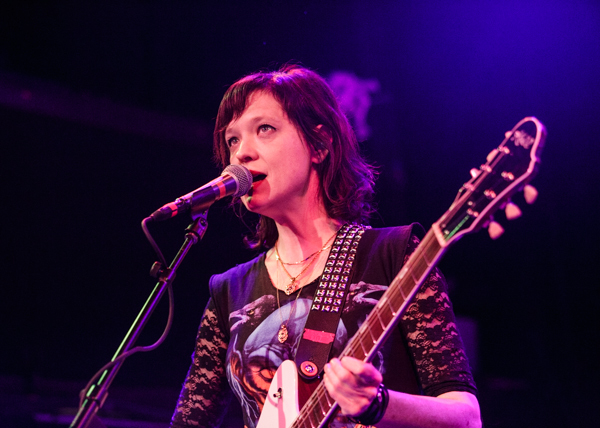 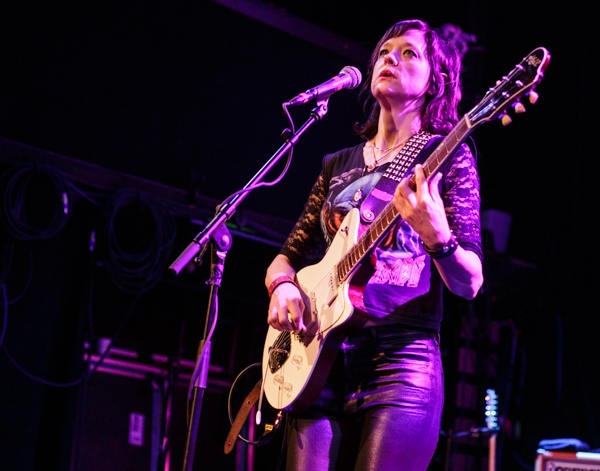 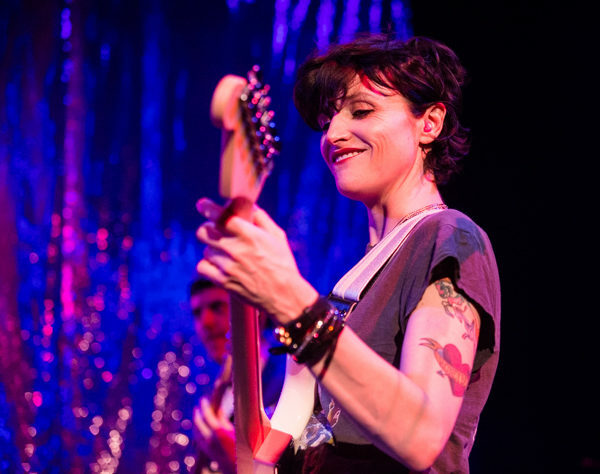 A few weeks ago Ex Hex, the trio of Mary Timony, Betsy Wright, and Laura Harris, returned with their sophomore album It’s Real via Merge Records. 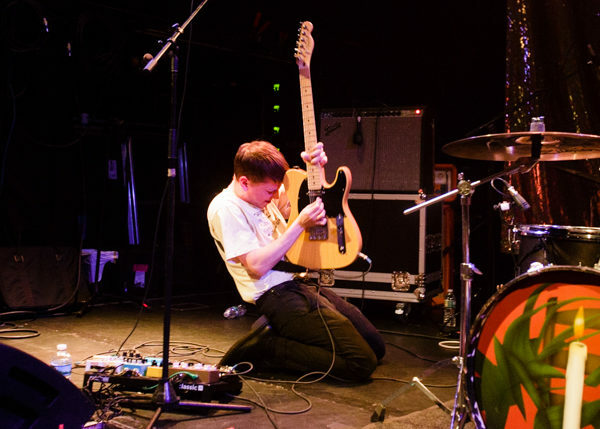 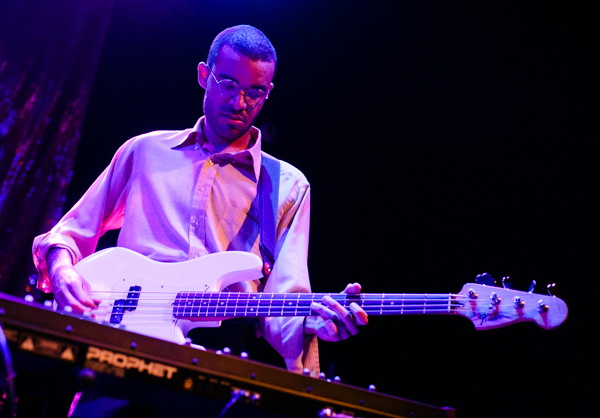 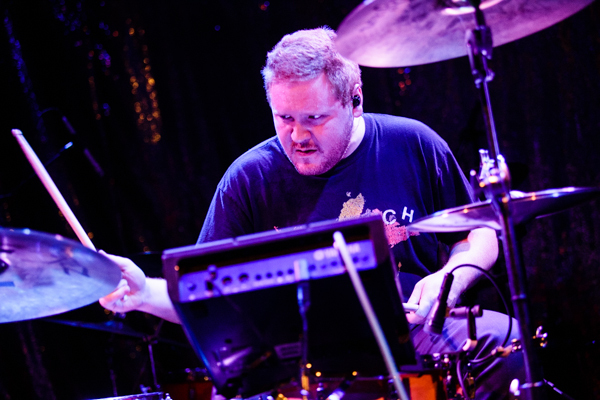 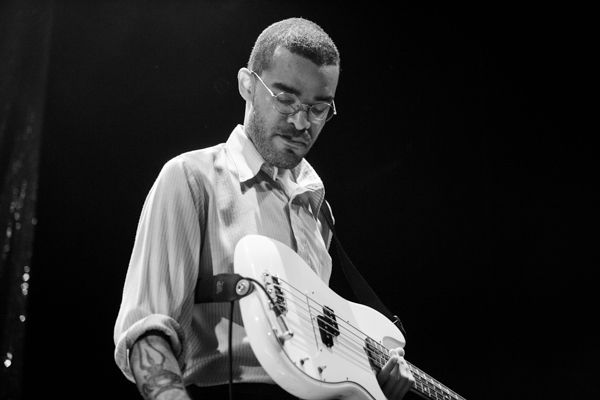 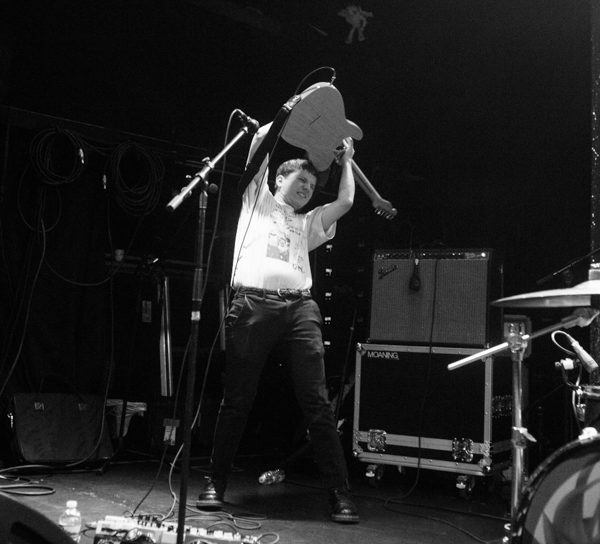 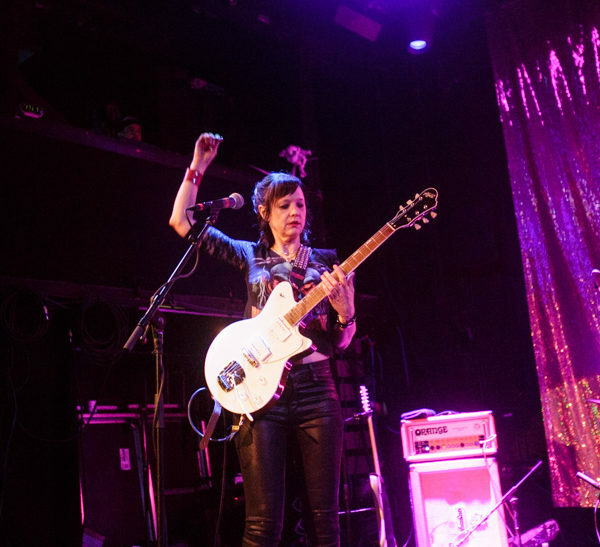 They’ve hit the road in support of the new record, which brought them back to New York on April 4th for a sold out performance at Bowery Ballroom. 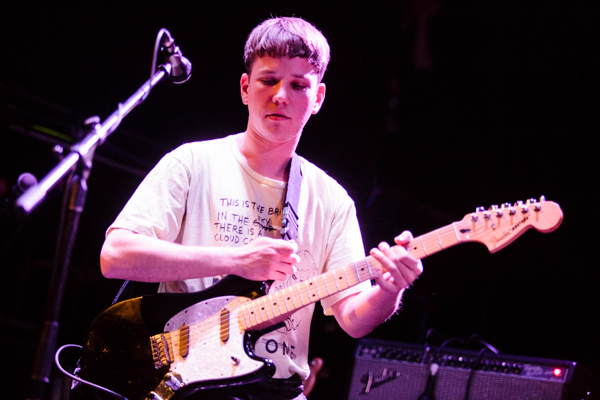 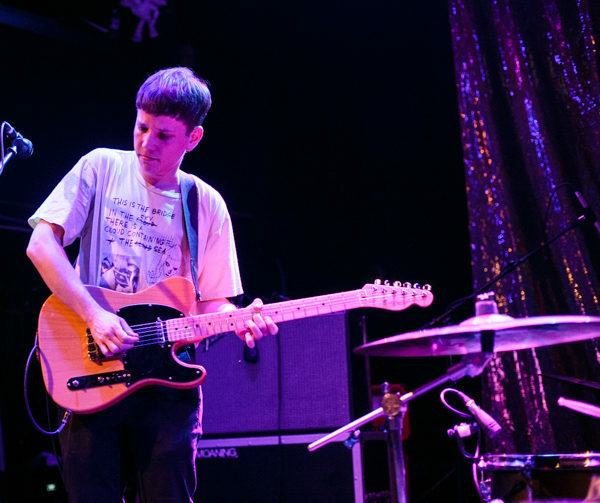 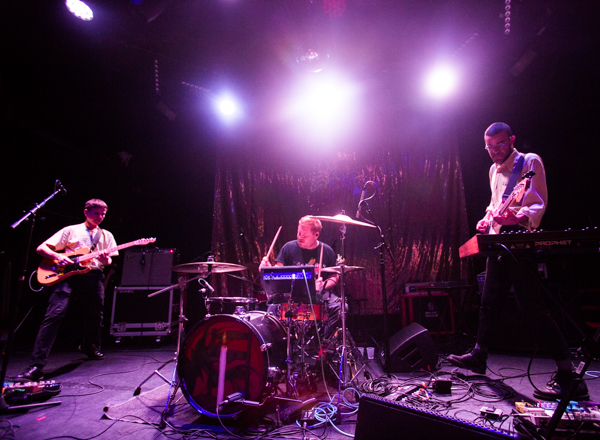 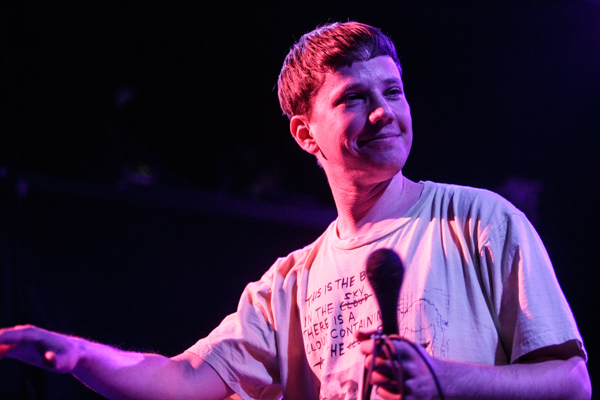 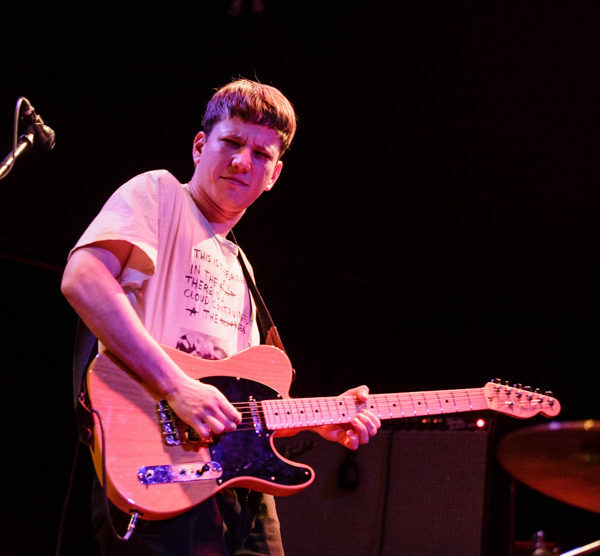 The night began with a strong opening performance from Los Angeles trio Moaning, who released their self-titled debut album last year via Sub Pop and gave us a fair share of songs from that, along with some new material that they are testing out. 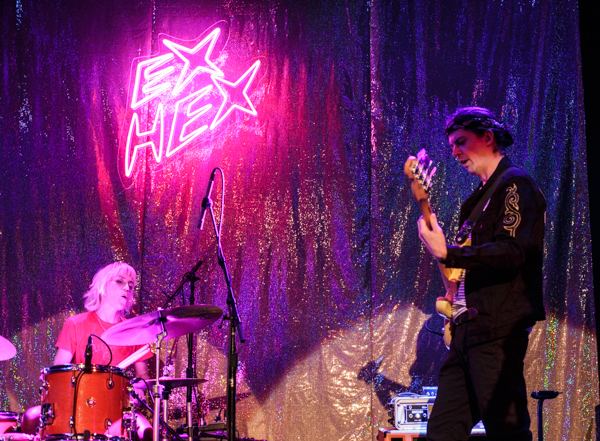 Soon it was time for Ex Hex to hit the stage. 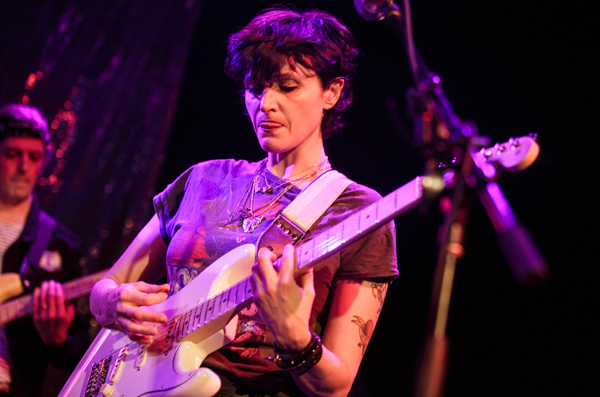 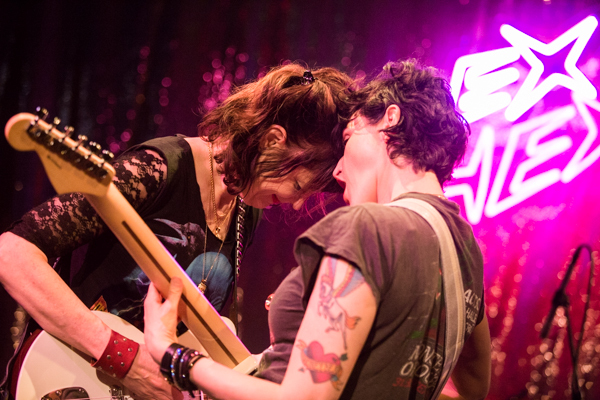 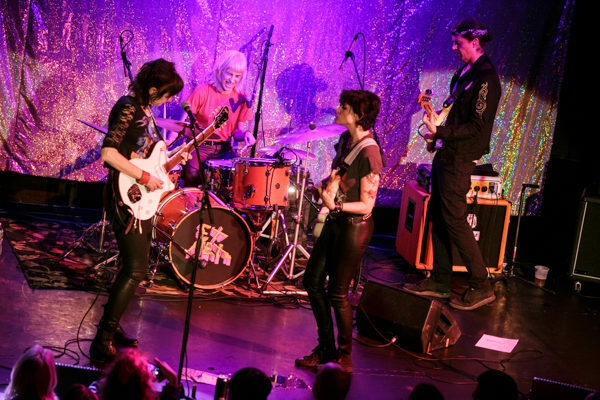 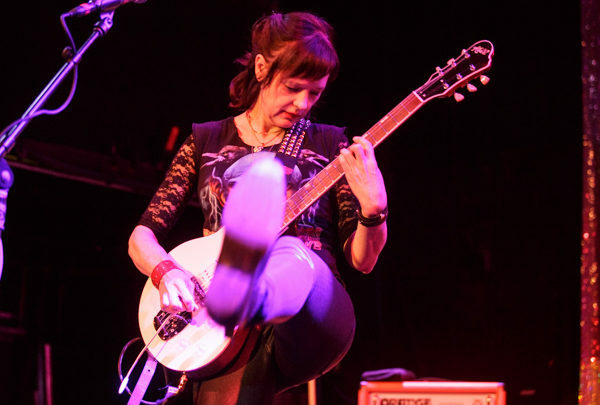 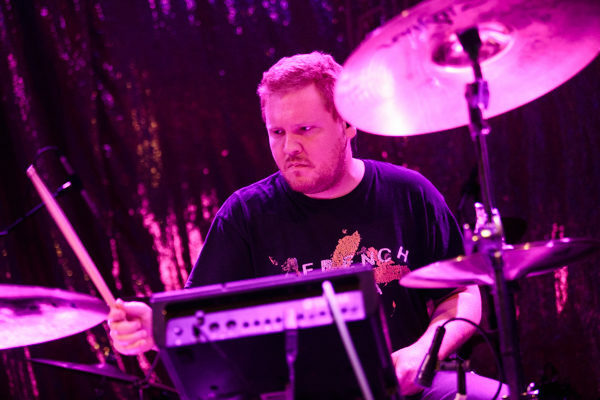 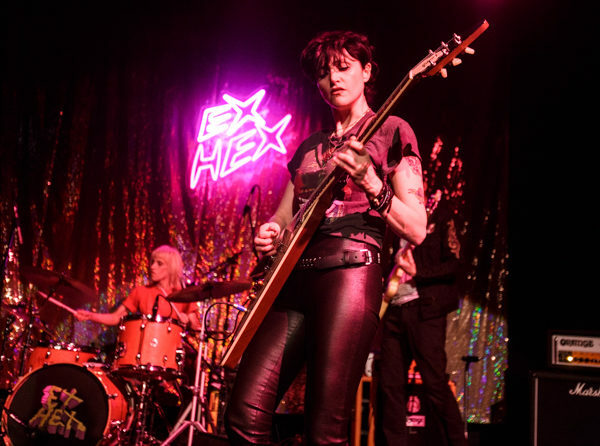 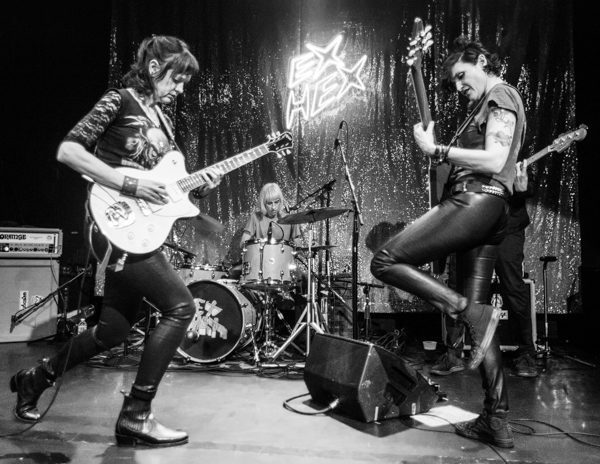 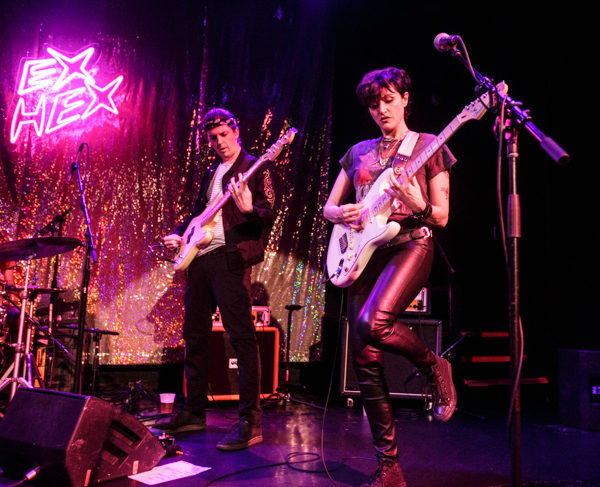 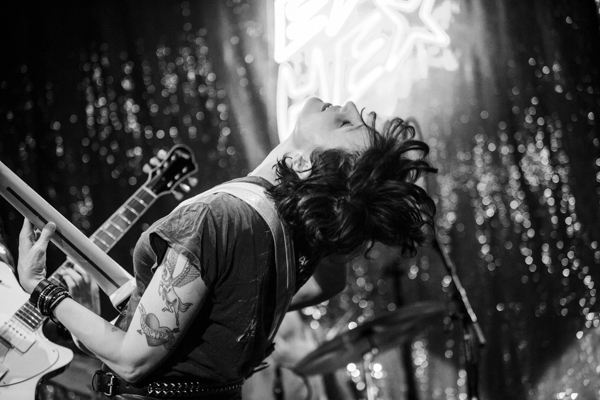 Once Harris turned on the neon Ex Hex sign that hung above her drumkit, the evening of rock and roll was officially set to begin. 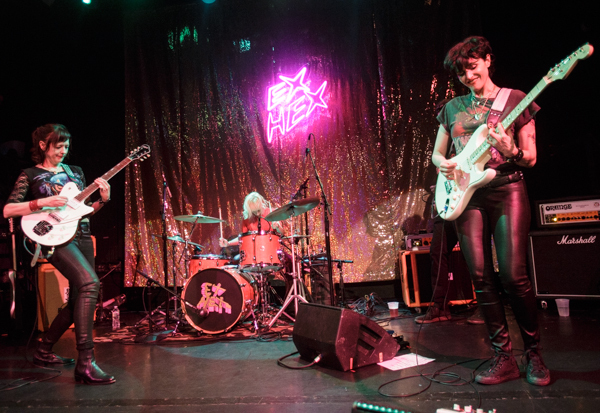 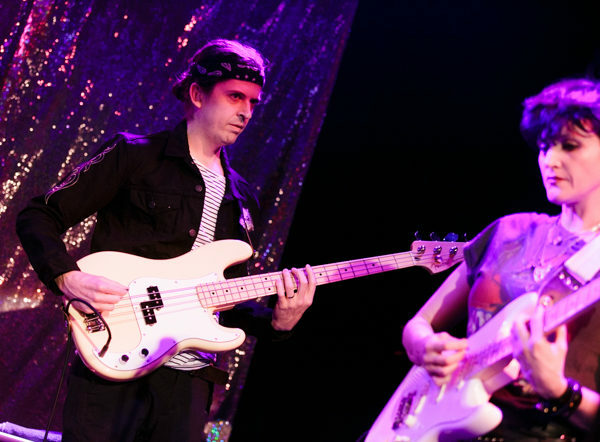 This was my first time seeing the trio perform with a touring bassist, allowing Betsy Wright to add to the dual guitar attack with Timony, adding an extra layer of crunch to the new album but also their live set. 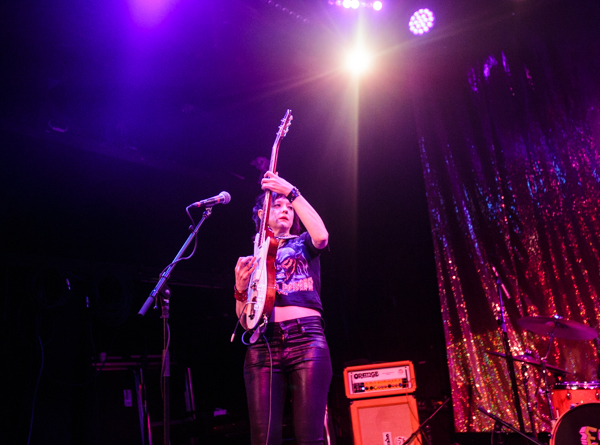 They ran through their set with efficient confidence that fully embraced the 80s rock and roll spirit of their tunes. 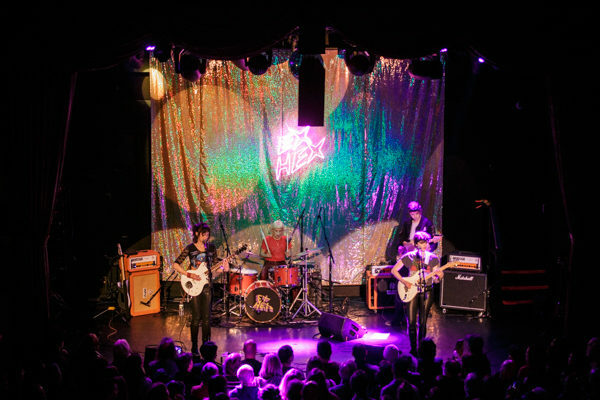 The set which came in at just about an hour, featured a good chunk of songs from Rips as well as the new album, which won over the sold out crowd with ease. 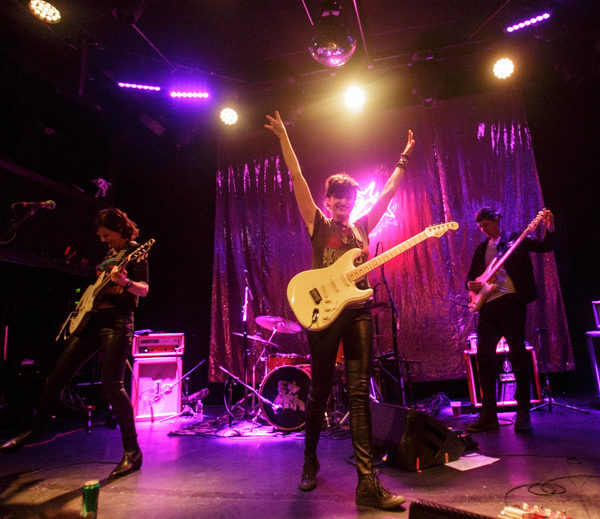 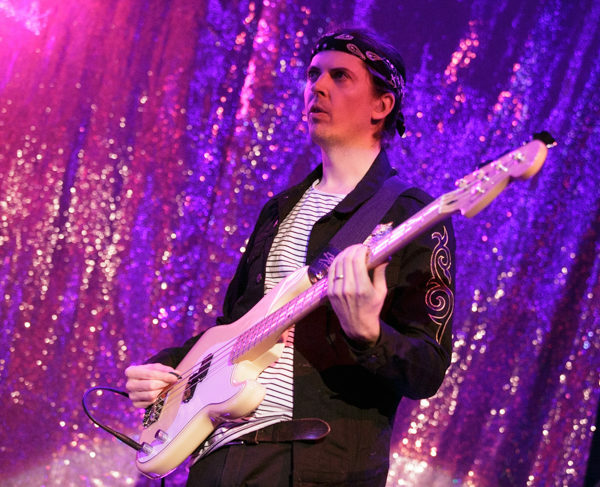 The band looks as though they have so much fun playing with one another one stage and that feeling just resonates throughout the room when they’re rocking out. 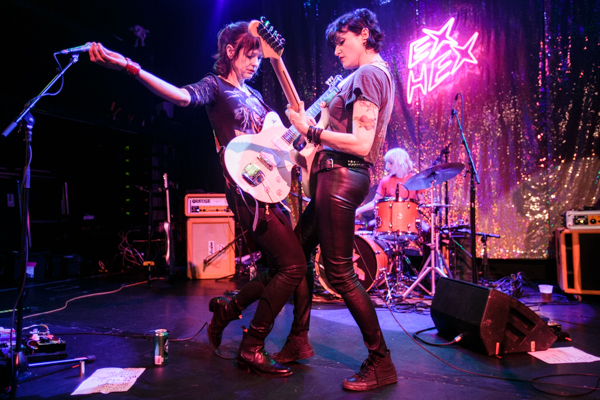 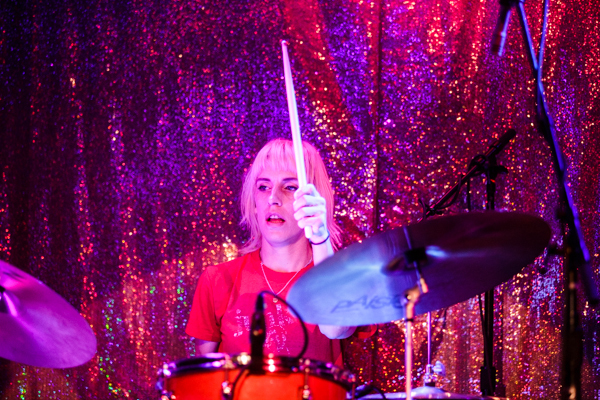 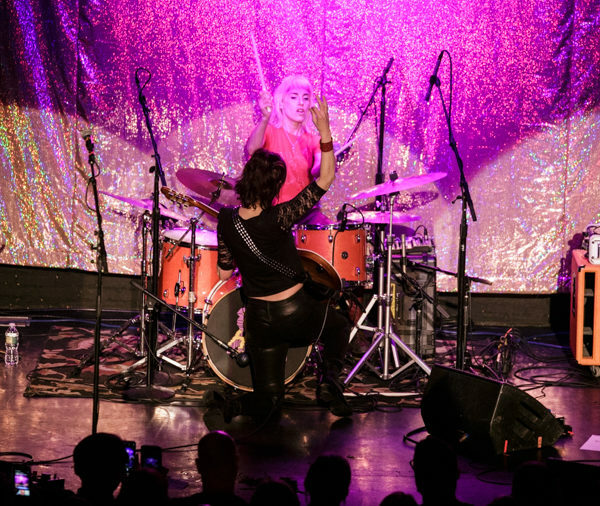 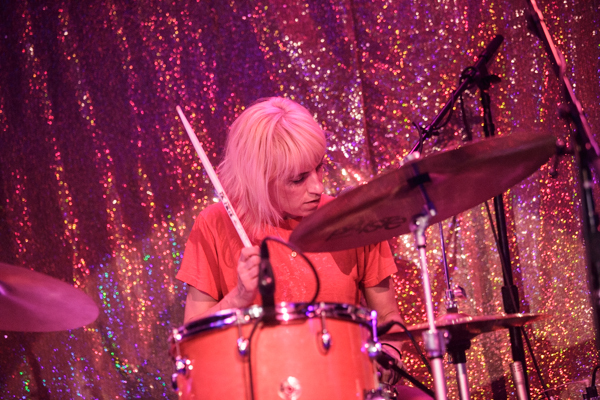 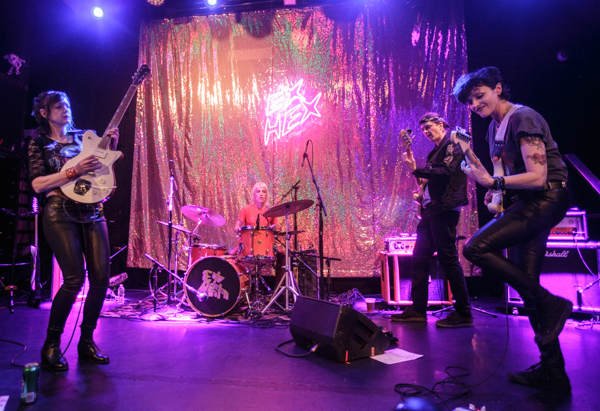 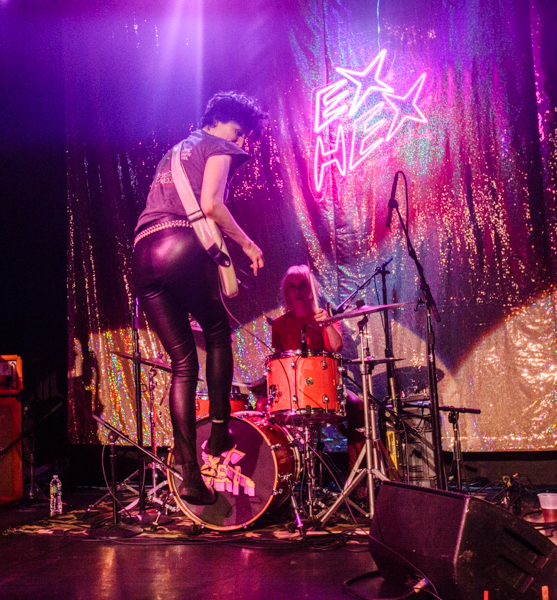 Find a full gallery of photos from both Ex Hex and Moaning posted below, along with the setlist.